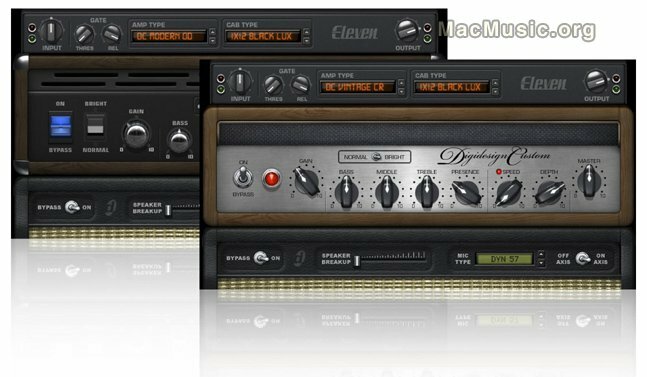 Digidesign has announced the upcoming release of Eleven, a new virtual guitar amp plug-in for Pro Tools, VENUE live sound, and Avid systems. Created using an innovative tone-cloning technique, Eleven offers a carefully selected emulations of modern amplifiers and speaker cabinets based on amps and cabinets from Vox, Fender, Marshall, Mesa/Boogie, and Soldano, as well as several custom Digidesign creations inspired by the most revered amplifier designs in the world. Eleven also features groundbreaking, convolution-based speaker cabinet and microphone (on- and off-axis) modeling, the latter of which features emulations of popular dynamic, ribbon and condenser microphones.